The B.S. line, an apt name for the proposed Broadway SkyTrain subway. What is more remarkable is that Postmedia allowed this to be printed. Could it be that the SkyTrain Lobby in Postmedia is beginning to weaken? Here is the real reason why the Broadway subway should not be built. The Canadian and North American standard for customer flows on a transit route to justify a subway is over 15,000 pphpd. In Europe, customer flows that would justify a subway is over 20,000 pphpd because light rail is able to cater to such traffic flows much cheaper than a subway. Current customer flows, based on the the 99 B-Line’s scheduled peak hour servcie of 3 minute headway, combined with the twp trolley bus lines that use Broadway, under 4,000 pphpd. Not enough to even justify light rail, just a basic streetcar! I have been pointing out this for awhile now that, simple bus service improvements and better management of the existing routes would be significantly cheaper and put off the need for an expensive subway line that doesn’t have the needed passengers levels now or will it have them in a decade! Translink simply doesn’t have the will to change their position. This constant B.S. about Broadway being the busiest surface transit route in North America is maddening and shoul be put to rest now! Translink is admitting that stage 2 of the Broadway Line will be up to a Billion more by the time it’s actually gets started, let alone finished. Guys and gals with a price of $4 Billion+ for stage 2 say goodbye to any funding for the second stage of the Skytrain to Langley. You dumped a full complete LRT line in Surrey and a fully paid extension to Langley for an expensive Skytrain Line that will end like a tree stump in the middle of nowhere. My apologies to the people who live near the extension to Fleetwood, I realize you don’t live in nowhere, nor am I denigrating your home. But it’s an expensive place to end a line and it maybe a very long time before any extension beyond it gets built. Mr Cow, can you be more specific about what Translink could do to improve the bus service along Broadway? Better bus priority measures? Adding buses to other streets? Below surface bus lanes? 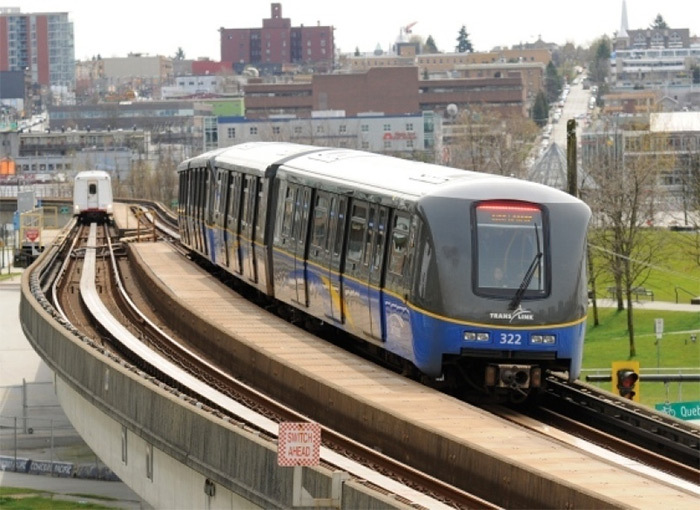 Is Translink’s reluctance because they are unwilling/unable to restrict space for cars? It would also be helpful to cite a source showing the comparable bus corridor in Canada or the US that carries more passengers than Broadway. Can you also comment on the recent consultant report’s assumption that LRT capacity along Broadway or 41st would be about 7200 pphpd? They claim to base this on the experience of comparable LRT lines, including LRT leaders in Germany and Switzerland. It is not the BS Line, It is the wonderful line. Extending the subway will increase ridership of transit. Just look what happened in Richmond. Before the Canada line was built, the daily ridership of the #98 bus was 18,000 per day. That is a big increase. UBC extension will get more than 150,000 users per day. The speed of subways will attract new users that used to drive. In Richmond, the #98 buse used to take almost 1 hour to go from richmond centre to downtown. Now the Canada line does the trip does it in 25 minutes which is faster than driving. If you don’t believe, check google maps. Driving takes 5 minutes longer. Currently, the #99 takes 52 minutes to go from Commercial street to UBC. A car takes 23 minutes via W12 or W16. A millenium line extension will do it in less than 30 minutes. Zwei replies: The number you give is boarding’s and not the number of actual people using the system. you also fail to mention that all Richmond buses, including the 4101 and 402, and the 98B and all South Surrey/Delta buses and of course the greatly truncated Cambie buses all feed customers to the Canada line. The Canada has not attracted the ridership anywhere close to prediction and its peak hour capacity offered by TransLink on the Canada line is a mere 6,520 pphpd! or about7,500 less than what is needed to justify subway construction in Vancouver. The elderly have virtually stopped taking transit if the have to use the Canada line and the majority of users are using the cheap $1 a day U-pass. Translink refuses to give the number of “unique” uses of the U-Pass, because they are trying to hide the fact that many U-Pass holders are making multiple trips. If you have read anything about subways, which you have not, subways are very poor in attracting ridership. In Prague, a tramline is being reinstated on a subway route, after it was abandoned when the subway started operation. Customer demand wanted trams and not a subway!